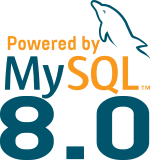 If you want to learn about these projects or discuss anything related to MySQL and Percona, join the conference and don’t hesitate to come to talk to me. I will be very happy to answer your questions. Ci vediamo in Prato ! My colleague Kenny hit a bug with Innotop and MySQL 5.6. He submitted a bug with a patch. This is a new pre-release rpm of Innotop (1.9.0-3) that includes that patch.